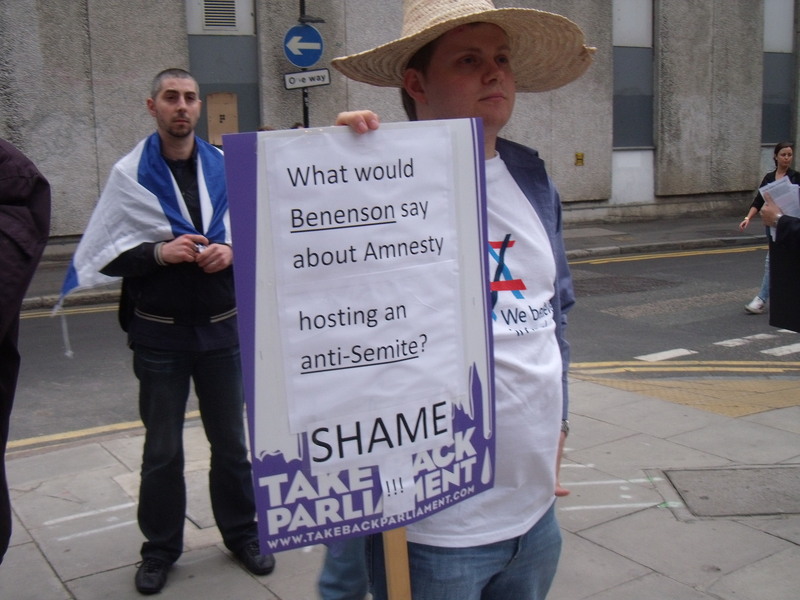 Accused of racism at Amnesty after admitting to being Jewish. 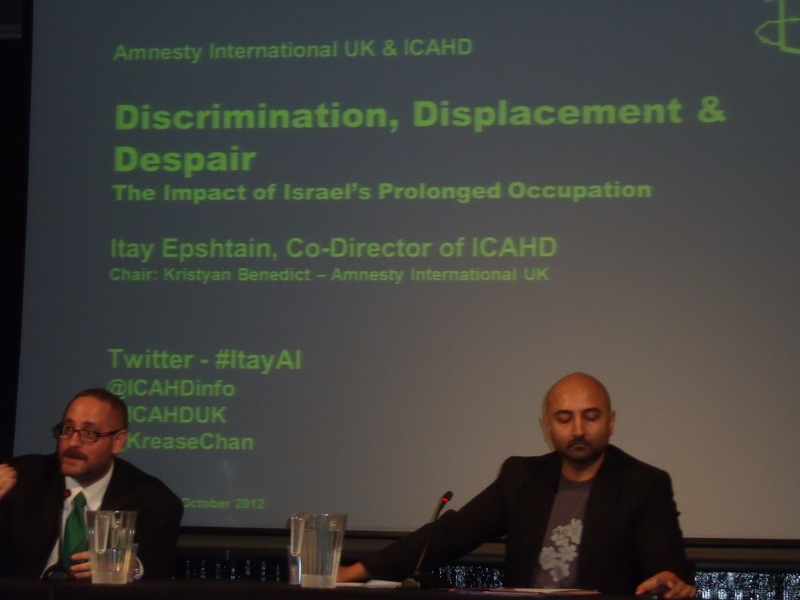 Itay Epshtain (ICAHD), Kristyan Benedict (Amnesty) at Amnesty’s London HQ last night. When you go to an anti-Israel event chances are you’re not more than a few feet from an anti-Semite. Last night after yet another anti-Israel event at Amnesty’s Human Rights Action Centre had finished I was immediately confronted by audience member Chris who politely asked if I was Jewish. I answered yes, obviously, but found that Chris wasn’t very happy with me . Chris: Jewish people feel connected by race or religion. Your support and the support of a lot of people in the Jewish community stems from that connection. Chris: The one I just described about ethnicity and religion. 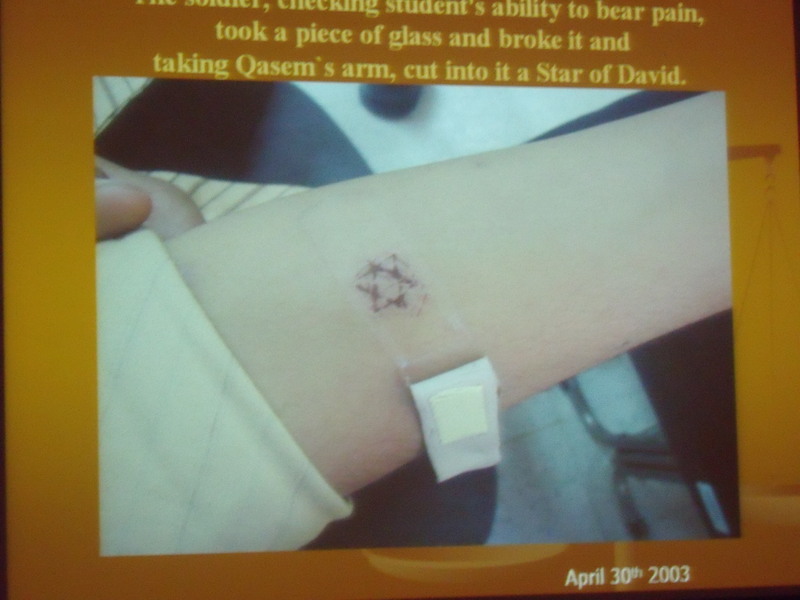 That connection is the basis of the support that seems to come from the Jewish community, people like yourself. Me: We also support a Palestinian state as well. Chris: I think to people who are independent, which I am, I’m not Israeli, I’m not Palestinian, I’m not Jewish, to an independent observer it is so patent the immorality of what Israel is doing. And it is so patent that it is painful that Jewish people support this immorality on the basis of race and I think it is a kind of racism. 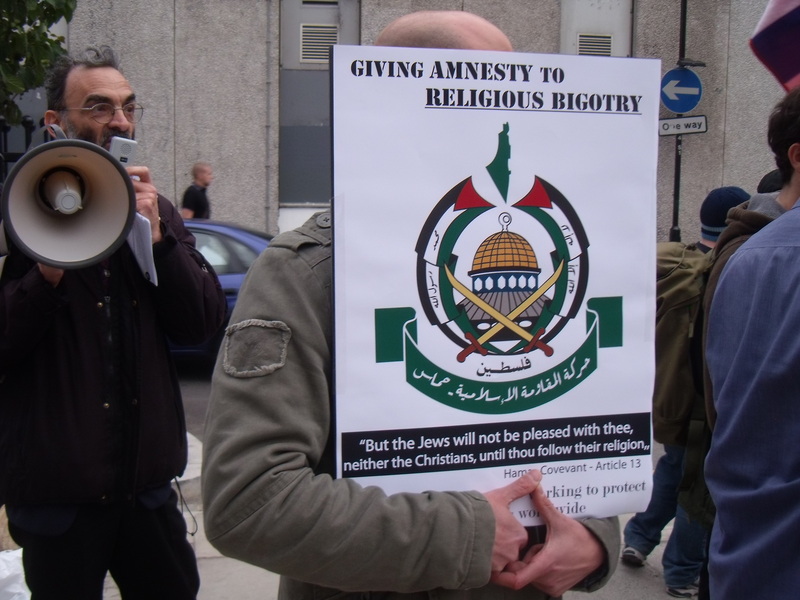 Chris on Jews at Amnesty’s London HQ. 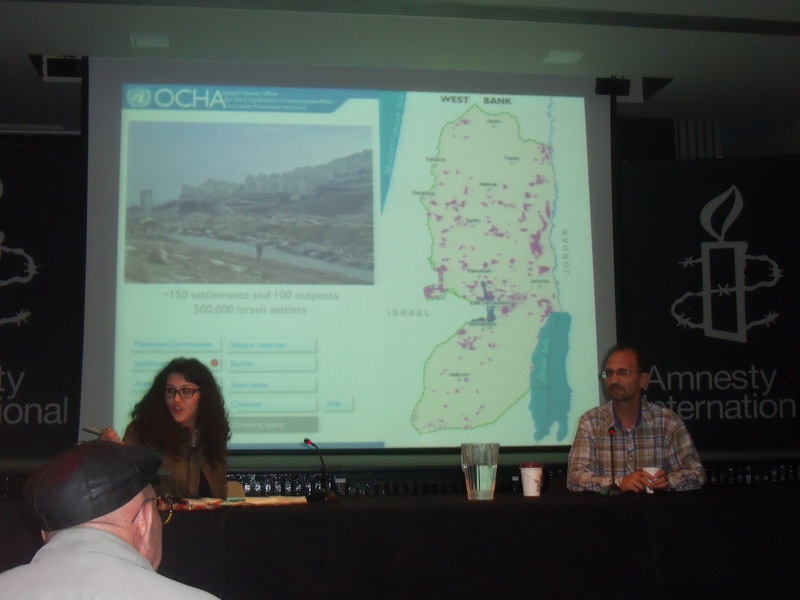 Chris had just been at the talk by Itay Epshtain, co-director of Israeli Committee Against House Demolitions. Epshtain had given the usual anti-Israel talk, which included statistics about house demolitions, pictures of demolished houses and those maps of Israel and the West Bank. Epshtain, who lives in Tel Aviv and who previously worked for Amnesty in Israel, wasn’t sure whether a one or two-state solution might be the best way forward and wanted all Jews and Palestinians to decide, but affirmed that boycott, divestment and sanctions was one “tool” to be used by “civil society” to put pressure on Israel. Epshtain added that Israel might have committed both war crimes and crimes against humanity due to alleged breaches of the Fourth Geneva Convention. 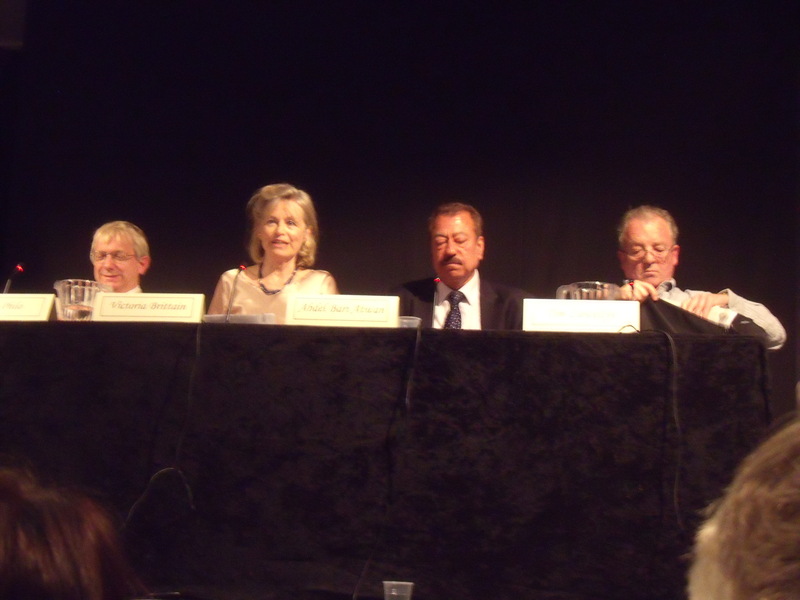 He then suggested that we, as in the audience, were paying for the “displacement and demolition” caused by Israel. We have to pay for the subsequent rehousing through our UK taxes and also via the EU (see clip at end). Shame Epshtain didn’t tell the audience that we were also paying his salary and for his extravagant trips to London via ICAHD’s EU funding. Epshtain described how Israel had “Judaised” the Galilee, which wasn’t supposed to be part of Israel under UN Res. 181, after 1948 and then used that as a template for “Judaising” the West Bank. And he claimed Palestinians get 20-30 litres of water per day compared to the WHO recommended amount of 100 per day while Israeli settlers, apparently, get 400 per day. As for the illegality of the settlements Epshtain cited the totally irrelevant “advisory opinion” of the International Court of Justice as the main authoritative decision. Surprise, Surprise Epshtain didn’t mention UN Security Council Resolution 242 and the British Mandate for Palestine which, arguably, allow the settlements to be there. He didn’t mention Hamas, Gaza or the Hamas Charter, which calls for the murder of Jews. Security for Israelis doesn’t seem a major issue for ICAHD. During the Q&A I asked why, if things were so bad in the West Bank, Palestinian life expectancy there was higher than in most countries in the world according to the CIA World Factbook. Epshtain just muttered that he didn’t know whether the CIA World Factbook was correct. If you’d like to meet Epshtain and, probably, Chris you can attend ICAHD’s AGM on 23rd March 2013. Can you guess where it’s taking place? Correct. Amnesty’s Human Rights Action Centre.